Canada’s direct cannabis market will double to 11 billion Canadian dollars ($8.2 billion) in the next six years, and flower market share will halve as consumption shifts toward noncombustible methods, according to research by Ernst & Young. While the accounting and consulting firm said dried flower currently makes up 84% of sales, it expects that figure to fall to 46% by 2025. The projections are for the legal and illicit markets and do not include ancillary sales. But by 2025, the expectation is “the percentage coming from the illicit (market) would be significantly lower, especially if quality and price of legal product is commensurate with the illicit market and if access continues to improve,” said Duncan Yang, EY Canada’s real estate and cannabis practice senior manager. 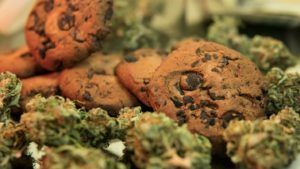 Extracts, edibles and nonedible derivatives will make the biggest gains, underpinned by Canada’s upcoming regulations for those products later this year. EY estimates that extracts will grow from the current 10% of the market to 37%, while edibles will rise from the current 5% to 12% by 2025. The report concluded that additional product formats will be catalysts of growth. “Retail and distribution frameworks across Canada have been implemented at a slower pace than anticipated since legalization, diverting many consumers to the illicit market,” wrote the report’s author, Zachary Pendley, cannabis real estate and valuation leader. EY also estimates that by 2025, 20% of the adult population will be cannabis consumers. Average annual spending per adult consumer for all cannabis products – both recreational and medical – is expected to grow from CA$1,200 this year to CA$1,600.